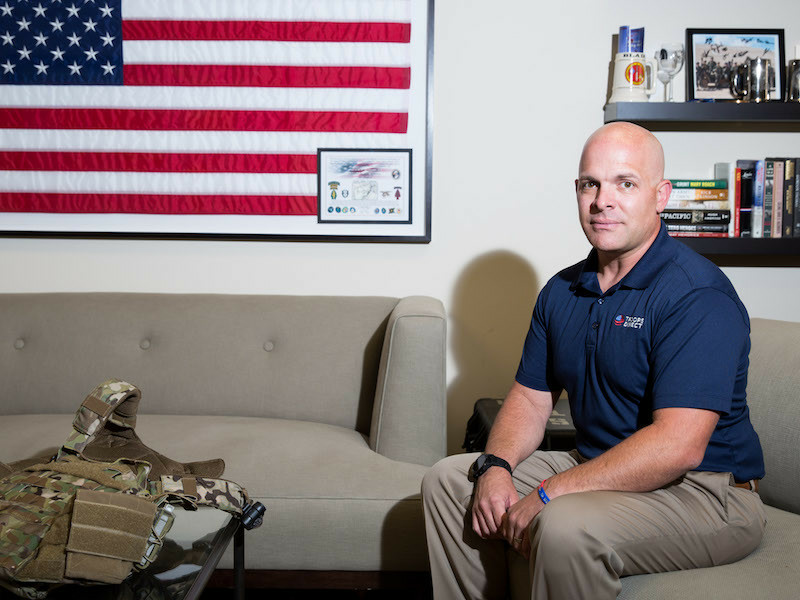 This founder’s mission: to deliver vital supplies to American troops—anywhere, anytime. In 2010, Aaron Negherbon sent a 45-pound care package to his close friend, a U.S. Marine stationed in Afghanistan. Touched, Negherbon (pronounced “NEAR-bon”) asked his friend what else his troops needed. “The requests that came back from him were kind of profound,” he says. Stethoscopes for medics. Bandages, gun lubricant, boot laces. Basic hygiene items and batteries. Like most people, Negherbon assumed that the military provided these items for troops; in reality, he says, bureaucracy and red tape slow the military’s international supply chains. So Negherbon went to work. He packed boxes in his garage night after night, sent them out as often as he could. This was the humble beginning of Troops Direct, a nonprofit that purchases and delivers direly needed supplies to U.S. troops all over the planet—at no expense to the requesting unit. Since its creation eight years ago, Troops Direct has grown exponentially from a one-man operation to a local organization serving San Diego-based Marines, then to a global charity that has shipped approximately four million pounds of supplies to troops on almost every continent. It grew by word-of-mouth, from troop leader to troop leader and from donor to donor, each stressing the importance of the need being met, and the efficacy of Troops Direct’s operation. For Negherbon, the past eight years are just the beginning of what he hopes to accomplish. A little giving back can go a long way. With the PayPal Cashback Mastercard, you get two percent cash back on every purchase, and there are no rotating categories or restrictions on purchase types that you can earn cash back on. Accepted nationwide at merchants that accept Mastercard, you can redeem any time, with the cash back going directly into your PayPal account. See Rewards Program Terms for details.